Hand Dryers are electric devices found in public washrooms that are used to dry hands. They may either operate with a button or automatically using an infrared sensor. 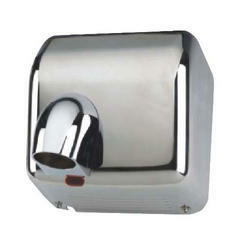 We have complete allegiance in developing highly demanded Hand Dryer for homes and hotels. We are leveraging the advancements at our modernized manufacturing units to present the most effective and energy saving hand dryer that features constant flow of warm air. 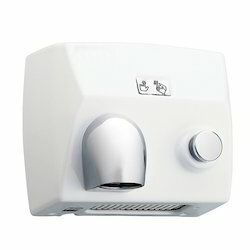 We are engaged in providing a wide range of Automatic Hand Dryer. 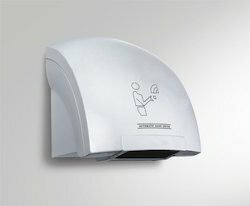 This Automatic Hand Dryer is designed and manufactured using high quality raw material and avant-garde technology by our experts. Our electric Hand Dryer is appreciated by our clients for its high performance. It is used in the wide range of places for hand drying applications. 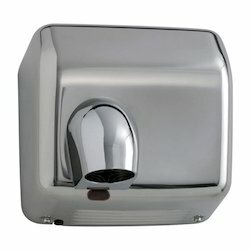 Clients can avail this Automatic Hand Dryer in different technical specifications as per their specific demands.